ennecott, also known as Kennecott Mines or AHRS Site No. 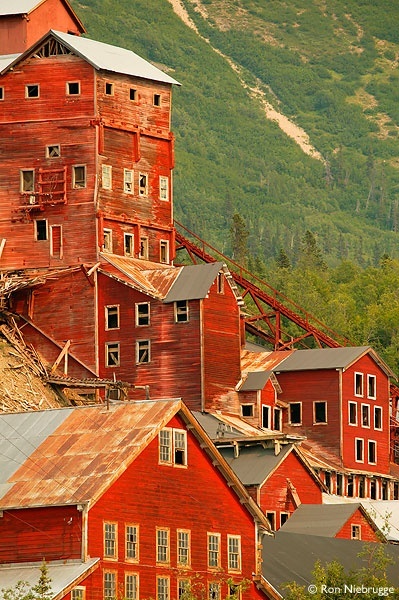 XMC-001, is an abandoned mining camp in the Valdez-Cordova Census Area in the U.S. state of Alaska that was the center of activity for several copper mines. It is located beside the Kennicott Glacier, northeast of Valdez, inside Wrangell-St. Elias National Park and Preserve. The camp and mines are now a National Historic Landmark District administered by the National Park Service.